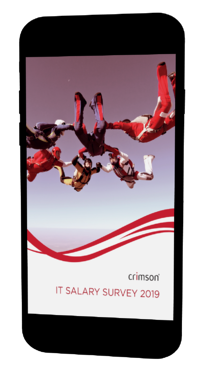 Download Crimson's IT Salary Survey, the leading salary checker for all IT jobs in the UK. Are you paying above the market rate for your permanent IT team and contractors? Do you struggle to retain skilled employees? Use this IT salary guide to examine the wages for IT departments across the UK and compare your organisation’s IT salary structure to the rest of the industry. A specific salary guide for IT jobs in London. Analysis of the 2019 UK IT jobs market. Insights into how Brexit might affect IT recruitment in 2019. Top priorities for CIOs in 2019. The data in this survey is based on extensive market research, a wide network of clients and contacts, and the expert knowledge of the specialist consultants in Crimson’s IT recruitment agency. Copyright © 2018, Crimson all rights reserved. Registered in England, number 04097664.